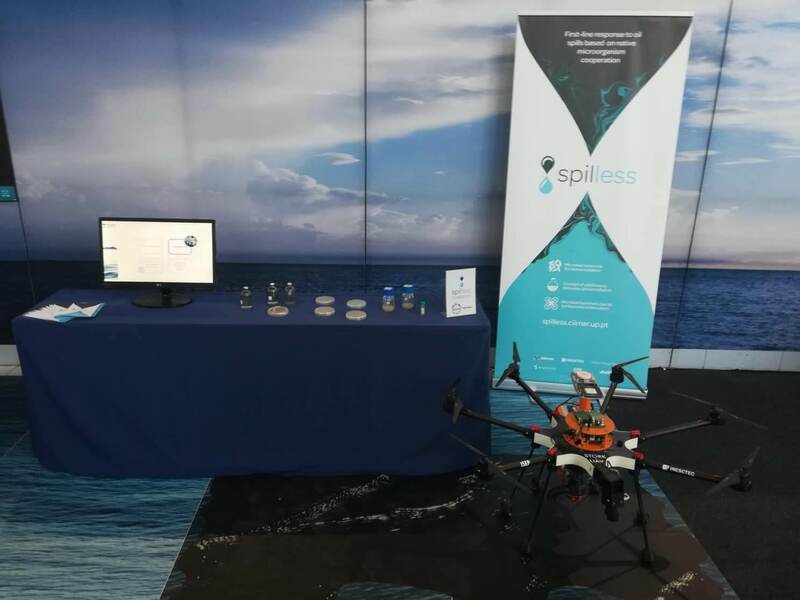 The researchers André Dias and Guilherme Amaral of INESC TEC’s Centre for Robotics and Autonomous Systems (CRAS) were present at BioMarine 2018, an annual event that aims at promoting business opportunities and at developing investments in the blue biotechnology area and the new marine resources. BioMarine 2018 - International BioMarine Business Convention - took place between 2 and 4 October, this time in Portugal, at the Estoril Congress Centre in Cascais. It is an event organised by the BioMarine community, which is the biggest international network in terms of partnerships in the sea area that includes industries and research centres. The BioMarine business convention is a platform dedicated to the marine bioresources focused on optimising and speeding up business opportunities and developing innovative Small and Medium-Sized Enterprises (SME). INESC TEC was present in the context of the SpilLess project which, therefore, will contribute to the international promotion of the work developed in the blue economy, namely in the marine biotechnology. The European project SpilLess - First-line response to oil spills based on native microorganism cooperation - consists of using native microorganisms to degrade oil existing in the sea,for example, from oil spills associated with shipping accidents, oil platforms, ports or other industrial sites. Unmanned autonomous vehicles will be adapted to this project as surface, aerial and underwater vehicles that are responsible for transporting and spilling microorganisms in the affected areas in an autonomous and efficient way. The researchers mentioned in this news piece are associated with Porto-ISEP.